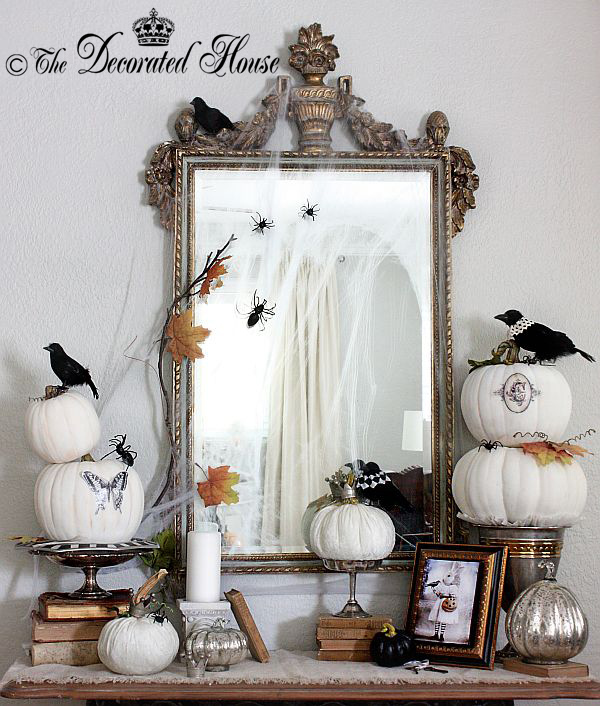 Halloween may be the time of joy for children, but it is also a wonderful time to bring a little different twist to your own decor. This is one of the times of year when black and white is so perfect for changing the look of your home and celebrating this fun holiday as well, although it may not be the wise choice to get your own favorite candy to give out. 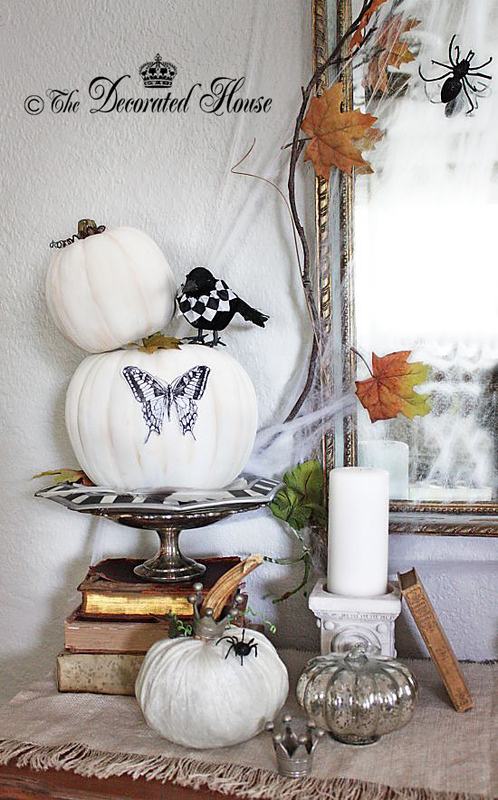 The Halloween season begins to come to life around here when entry table is dressed with white pumpkins and Mercury glass pumpkins and joined by whimsical crows and some Halloween art. Add a few vintage finds like the books and silver and you have a lovely display to welcome your day as well as your guests. Of course we also need to make sure the Snickers are ready for the little goblins. The next post will be of my Halloween mantel for this year. I hope you will stop to see it. 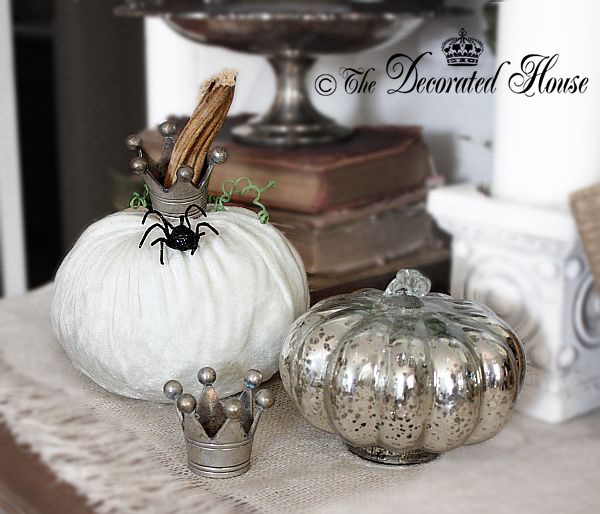 where did you find the cute pewter crowns?? I found those little crowns several years ago at an antique market, although they are not all that old. Since I too love them, they work their way into my decor for a lot of different holidays and seasons!